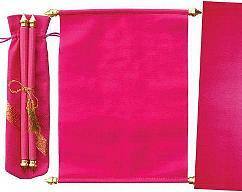 This one a kind satin folio invitation is made using A++ materials with excellent craftsmanship. 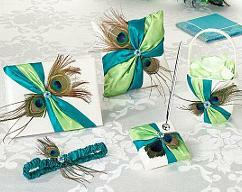 These satin invitations are surely be a WOW factor of your next weeding/baby shower/sweet sixteen events. 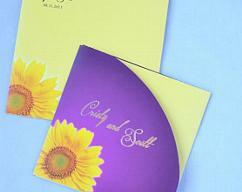 We can customize these invitations in any choice of your color fabrics. 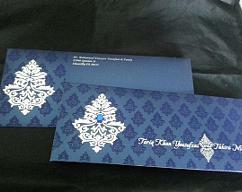 Please email us if you are looking these invites in different color, we can create a custom list for you. 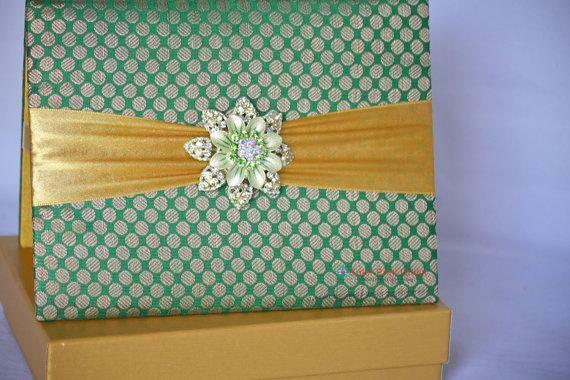 This set includes : Satin folio, 2 inserts, Brooch, matching mailing box. Inside open folio top and bottom pockets or corner slots will be included. 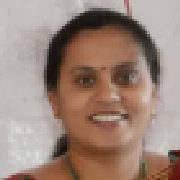 Printing includes up to 2 inserts. This invitation can hold up to 3 insert and 1 RSVP card with envelope. Matching Program Book ($3 per book) - Size: 8.5x5.5 inches. Up to 4 pages. Designing and 1 color printing included. Free shipping anywhere in the USA. For other countries shipping will be quoted depending upon shipping address. Please contact us before you place the order for shipping price.